In Cape Cod Morning Edward Hopper captures the post-war mood of anxiety in this stark, ambiguous painting. 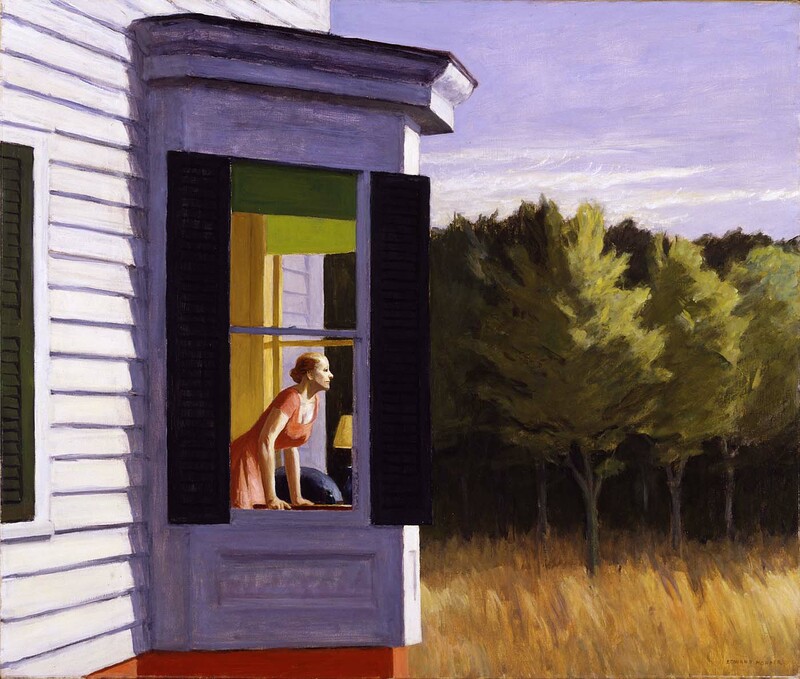 John Sloan and Andrew Wyeth are among other realist painters in the collection. Some American modernists found new ways of depicting the spirit of their age. The dynamic rhythms of modern life energized artists like Georgia O'Keeffe and Joseph Stella, while artists such as Willem de Kooning and Franz Kline reveled in the freedoms and frustrations of abstraction, and in turn inspired the next generation of painters such as Richard Diebenkorn and Kenneth Noland. Important twentieth-century artists such as Marsden Hartley, Stuart Davis, Wayne Thiebaud, Alfred Jensen, and Philip Guston explored questions about subject, composition, color, and technique.